Rockstar Matt Bellamy and Elle Evans' matching outfits. Is it a sign of true love? Rockstar Matt Bellamy and Elle Evans’ matching outfits. Is it a sign of true love? 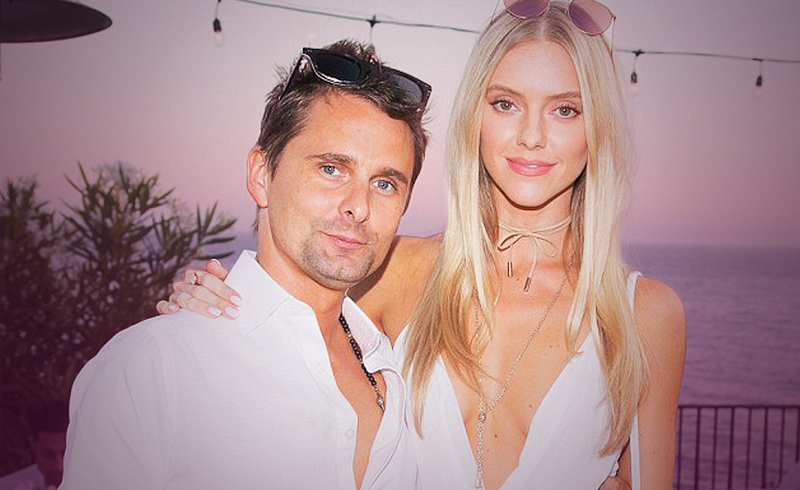 Matt Bellamy and his model girlfriend Elle were photographed recently in yet another color coordinated display. Joined at the hip, the lovebirds were a joint vision in white as Elle towered over the Muse frontman in sky-scraper platform heels. Well, he always said that he wanted a girl he could look up to. The twosome began dating in April 2015 following Elle’s appearance in the rockstar’s music video, Mercy which forms part of Muse’s latest award winning album Drones. This is one fashion conscious couple who is not afraid to openly show major PDA’s. Not one to let the grass grow under his feet after separating from actress Kate Hudson, mother of his son, Matt and Elle seem to enjoy matching outfits, does this mean they are really in love. I’m sure it’s no accident when couples appear to dress the same. In a new relationship it can happen because one of them has less confidence than the other, maybe it’s a good reason to hide from their own identity. If there’s a power imbalance in the relationship , the less powerful one might have a desire to please, wishing to be the male / female counterpart. Some famous couples have a need to prove to the rest of the world that they are a good match, so much so that they even dress the same. Even age-gap couples are at it. Look at Hollywood legend Michael Douglas and his 25 years younger ‘welsh rarebit’ Catherine Zeta Jones who were notorious for wearing matching pastel golf-wear. Dare I suggest that there might be an element of narcissism involved, being drawn to someone who mirror’s ourselves. People do tend to choose partners who have a familiarity about them. Dressing the same at the start of the relationship and then going on to buy clothes for one another. Apparently, confident couples do not have a need to copy each other in the outfit department, in fact, some ‘regular’ couples would be horrified and rush off to get changed. If you want to come across like Matt and Elle, it’s assumed that you want to be noticed. I guess there’s a fine line between the cute couple who want to look the same because they find each other physically desirable rather than siblings who’ve been dressed by their mum. Model Elle found fame after making an appearance in Robin Thicke’s (now infamous) Blurred Lines video in 2013, but let’s not talk about that! So which cards did the color-coordinated love birds draw today? We have the Fool, the Three of Wands and the Eight of Hearts. The Fool is as wide-eyed and innocent as a young child. This card is about living in the moment and going forward without hesitation, Matt and Elle are still in the early stages of their relationship and they may be making fun of the whole celebrity dressing the same, but the fool is card of unsophisticated truth. It’s a new and exciting journey for them both and the desire is to be one and the same. This is further reinforced with the next card. The Three of Wands is fun and passionate and has a strong sense of togetherness. 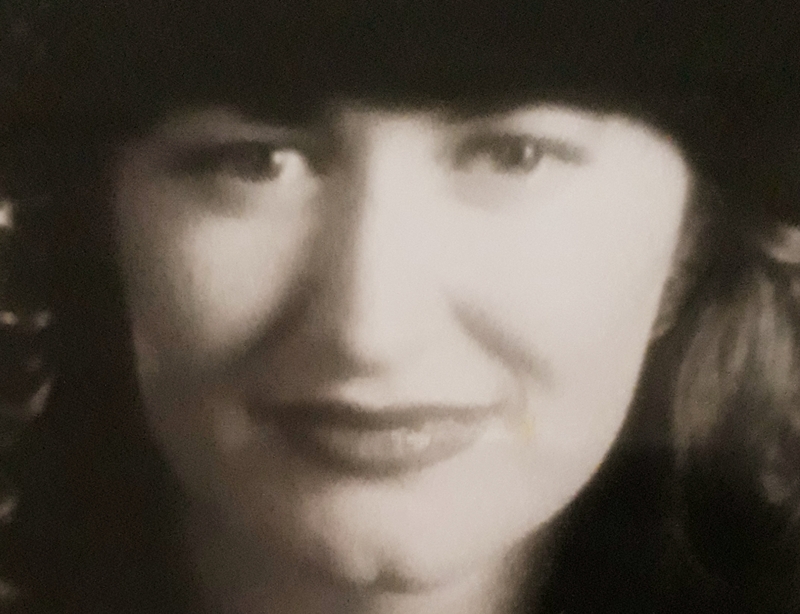 The soulmate connection. There is a profound joy that comes from fearless self expression that retains a purity that is both innocent and fun. Matt and Elle are acting out their message in the most playful manner indicating an awareness and cooperation from each other. The Eight of Hearts tells the story of love and devotion. There have been sacrifices made to reach this point. It really feels as though Matt and Elle have found their opposite number. There is a sense of giving too much in previous relationships and now a partner has been found who is worthy of the love being given. Any tears from the past have served their purpose and nourished a wiser use of devotional energy. This couple is shouting from the rooftops, we’re in love and we want everyone to know about it. Dressing in similar outfits is definitely a sign of true love. Vivre l’amour! Previous ArticleTom Cruise relationship still going strong 20 years on. But with who?Next ArticleIs Brad Pitt all they say he is?